Geisha Hands originated as a class assignment in college. 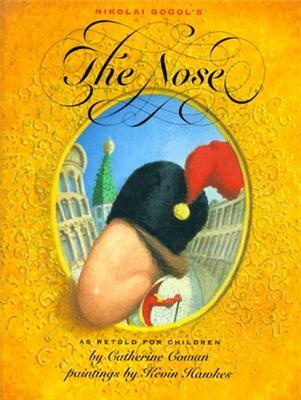 We had to read The Nose by Nikolai Gogol and then write our own version of the story. I was not thrilled with the assignment but did my best and created the parody short story titled “The Geisha’s Hand”. The parody was about a geisha who woke up missing her hand, and then had to chase her hand all over town. Hoshi was the main character of this story at the time, as the proud famous geisha who is humiliated to have her hand disobey and betray her. I was inspired to create “The Geisha’s Hand” when I first read the popular book Memoirs of a Geisha. However, I then found how inaccurate the novel “Memoirs of a Geisha” truly was when I read the wonderful (and unfortunately lesser known) novel Geisha, A Life. Since then, I have gobbled up many historical texts, both fictional and nonfictional – including “The Scent of Sake” and “The Teahouse Fire”. All of the books played a part in my inspiration, but I was most intrigued by the world of tea ceremony and tea masters in “The Teahouse Fire”, which heavily influenced parts of the story arc in “Geisha Hands”, especially the scene where Yukie performs a full tea ceremony for Minoru. This is how Yukie’s character came to be. I wanted her as a character, and her talent, to be rather average. I did not want a hero-character or a sudden super star character. I wanted the main focus to be on Yukie coming to realize her own talents, and that it’s okay to be less than “the best.” I wanted Yukie to struggle with the knowledge that she will never be a talented star like Hoshi, or an extraordinary beauty like Suzumai. However, I didn’t want these antagonists to be “perfect” either. They both have their own burdens to bear with the weight of their extraordinary natures. This also reflects to show Yukie that being extraordinary has its drawbacks. The original parody I wrote retained the focus I on the role that hands play in the geisha world. All of the geisha arts also require dexterity skills to perform, which already puts a major focus on hands. This is shown throughout the story via Yukie in her struggle to develop into an independent geisha. It’s my hope that readers will identify with Yukie’s journey and accept that though their talents may not be grand that they can still take pride in their personal achievements. Life is a struggle, and only a very few can be “extraordinary,” but many can be great with the talents they do have.